Photography, and everything associated with it, has played an important part in my life but, equally important, have been my interests in art, books and history. Several years ago, when one of my children was seriously ill, I turned to my hobbies as a way of keeping my thoughts occupied and found myself looking at old family photos and papers. As a result, I put together an audio-visual sequence about my mother's brother, Len., who, at barely 21, found himself a prisoner of war . He was a soldier in the King's Own Scottish Borderers, and was part of 'Operation Market Garden' in September 1944. He was one of those dropped behind enemy lines, by gliders and parachute, to take the bridge over the River Rhine at Arnhem. Books have been written, films have been made and the battle is the subject of numerous websites. Many men lost their lives and Len was reported as 'missing in action'. Eventually, after an agonising 3 months, his mother received word that he was a prisoner. He spent the rest of the war in prisoner-of-war camps in Germany. He was liberated, by the Allies, in April and was back home in time for the VE Day Celebrations which, reading his diary entry for the day, he found difficult to cope with. His thoughts were all for those who had lost their lives and the legacy of pain and misery that was left behind. My grandmother had kept all Len's letters, photos, newspaper cuttings, and the cards on which he'd written his thoughts and feelings whilst in the camps and these became the 'skeleton' of my sequence. Researching the story and putting the 'flesh on the bones', I found it a very emotional experience. We had always been a close family as we lived next door to my grandmother and uncles, all through my childhood. I thought I knew Len well but I found a new understanding as I tried to imagine what this young lad (like the many thousands of others) had suffered both mentally and physically. It opened a new door for me; I now wanted to find all my ancestors and get to know them! Like many other would-be Family Historians before me I waited to start this journey until anyone old enough to help me, with names and locations going back a couple of generations, had already joined the ancestors, themselves! I was an only child; my father was an only child; my mother had two unmarried half brothers but was the only child of her father who had been killed in WW1, when she was just 2 years old. All were gone! I looked around and there was no-one! To make matters worse, I knew my mother was Irish and my paternal grandfather from Scotland .......... it wasn't going to be an easy task. In the half dozen years since I started researching my family history I've found the usual mix of lines that were easy to follow and those that disappeared against 'brick walls'. I've found all sorts of stories, both sad and happy but I've never found it anything other than completly fascinating, compelling and rewarding........... I hope I never feel I've finished! As anyone knows who's researched their family's history, there are lots of surprises and my experience was no different. As a child I had lived in Ashton under Lyne; my Irish side of family had come to Ashton in the mid 19th century; my paternal grandmother and that side of the family all originated between Ashton and Manchester; or so I thought. 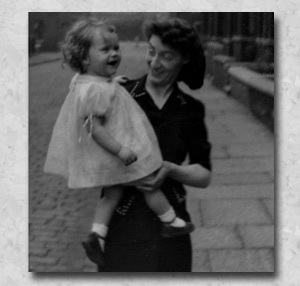 Then I made the discovery that I'd actually returned to her 'roots' when I went to live in Oldham, after my marriage. One thing led to another and I found that my family history was now becoming ever rmore linked with local history and I was totally hooked! Over time I hope to add more stories and develop other areas of the 'History' side of my website with family trees, galleries and 'bits' of Local History that might be of interest. A Steeple Chase! This is quite a long 'story' spanning the years from 1790 to 1851. It tells the story of my Steeple ancestors who came to Oldham from the area round Wirksworth, in Derbyshire. The surname, 'Steeple', is an uncommon one and, as far as I can find out, John was the first of that name to live in Oldham. I've tried to record the lives of the growing family against a backgound of Oldham in the early 19th century and how that was a part of the bigger, national picture. Some of the facts are taken from contemporary writings and records and and some from other published sources. The illustrations are scanned from a number of Victorian books that I have on my shelves. I have made every effort to make sure that the family tree is absolutely correct but where records are missing or mis-trasncribed, errors can creep in. If I have allowed this to happen I apologise now!